US Wins Over Ghana in Their First Match this World Cup! 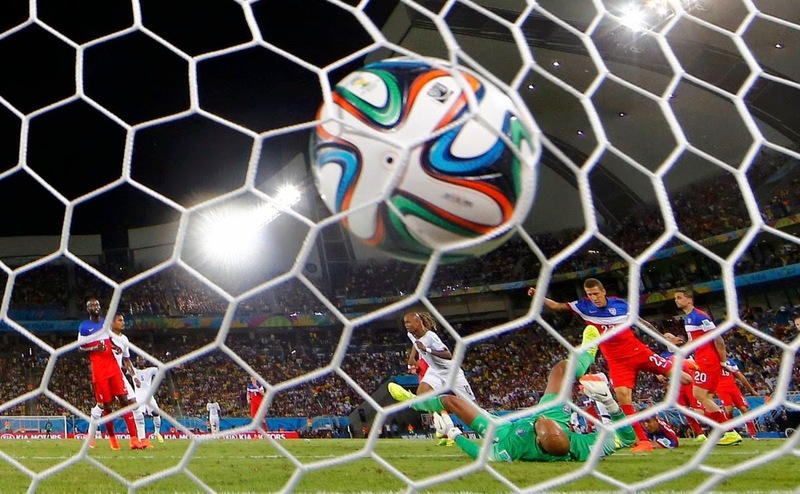 From the start of the FIFA World Cup 2014, U.S. Soccer team fans had to deal with skepticism towards their chances of making it past the “Group of Death,” especially with the loss of star player Landon Donovan who was not included in this year’s roster by coach Jurgen Klinsmann. 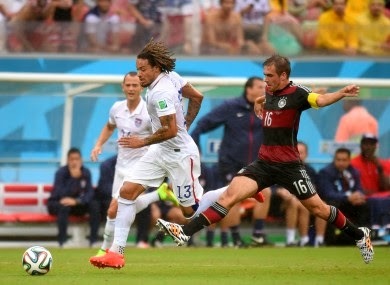 However, the U.S. pleasantly surprised everyone by winning over African powerhouse team Ghana on Monday. This victory, and the devastating loss of Portugal against Germany, puts the U.S. Men’s National Team in a more hopeful position for making it to the next phase. On an evening of extraordinary turns, of bloodied noses, strained hamstrings and both early and late goals, the Americans claimed a 2-1 victory over Ghana in their Group G opener Monday. Amid bedlam at Arena das Dunas, substitute John Brooks, 21, scored in the 86th minute — just four minutes after Andre Ayew had canceled out Clint Dempsey’s goal, which came 29 seconds into the match. Brooks, a 6-foot-4 German American defender who replaced injured Matt Besler at halftime, stung an eight-yard downward header from Graham Zusi’s corner kick past goalkeeper Adam Kwarasey. Up next is the game on Sunday against Portugal. Despite their loss on Monday, the Portuguese are generally regarded as one of the world’s best teams – but the U.S. got the better of them in their last World Cup meeting. 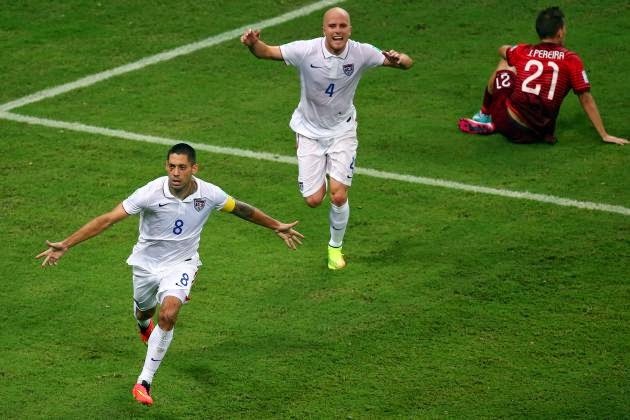 In 2002, Team USA scored three times in the first half, and then held on to defeat Portugal 3-2 – a win that ultimately allowed the Americans to advance to the knockout stage (and ultimately to the quarterfinals) and eliminated Portugal from competition. Needless to say, the game promises much excitement, and we at The THERAPY-IV will be watching closely! For more information on Miami Deep Sea Fishing, contact us by calling 305-945-1578. Miami Heat Return Home for Games 3 and 4 of the NBA Finals! Following their incredible and dramatic victory in Game 2 of the NBA Finals, the Miami Heat left San Antonio with exactly what they had been hoping for- a split of the first two games. Now the Heat have returned to Miami and began preparing for the Game’s 3 and 4 of the Finals to be played at the American Airlines Arena. 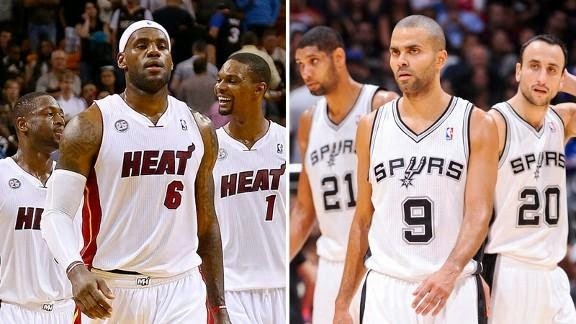 San Antonio took down the Heat in Game 1 of the 2013 Finals, a game that was played in Miami. That was the last time the Heat lost a playoff game at home. If the Heat can preserve its spotless record at home then when the Finals shift back to San Antonio for Game 5, Miami could find itself just one win away from completing the journey for a third consecutive NBA Championship. Needless to say, we couldn’t be more excited. 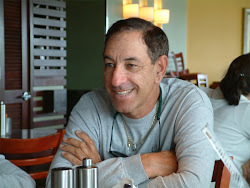 We at The THERAPY-IV love our local sports teams, so you can look forward to more posts like these in our blog. For information on Miami Deep Sea Fishing, contact us by calling 305-945-1578.